We Take Your Fitness Personally! One-on-one training with our expert Get-Fit Personal Trainers is the most effective and efficient way to reach your personal fitness goals. Because programs are customized, your fitness is fast-tracked to success. After we meet you face-to-face, and do a full analysis of where you are at and where you want to go, we design a program especially for you. 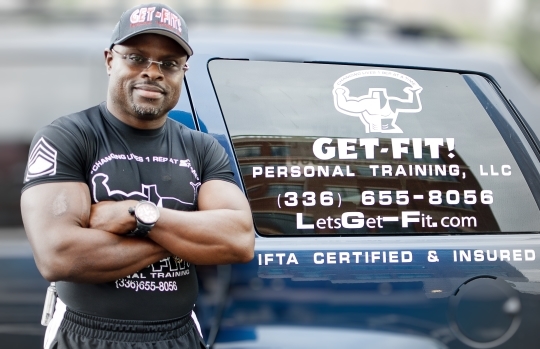 Your Get-Fit Personal Trainer will then guide and motivate you as you progress, monitor how you are working through the program and offer you feedback that resonates with your fitness needs! Do You Want a Personalized Fitness Plan?